Make your trip to Hillside complete by visiting our Coffee Shop where you can enjoy the view from the Conservatory area or relax in our cosy Fireside room. Our food is all sourced locally and freshly prepared on the premises.Whether you’re looking for a three course meal, a quick snack or just coffee and cake, we have something to suit everyone. Children will love our six item lunch boxes which include a drink, sandwich, crisps, yogurt, fruit and tray bake.We also cater for large groups and have a special Christmas function menu. During the Christmas period we have extended opening times. If you are planning a function, why not come to The Coffee Shop at Hillside where you will always be assured of high quality catering in pleasant friendly surroundings. We can cater for up to 120 people, so for that annual re-union, special anniversary or celebration contact our restaurant manager for information. 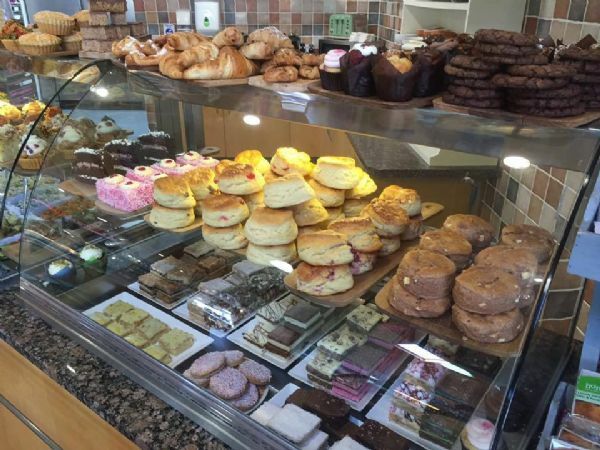 Delicious selection of scones, traybakes & choice of sandwiches, served with a pot of tea or filter coffee. Served 2pm - 4.30pm Monday - Saturday! Afternoon Tea is a great gift idea - buy vouchers here! Morelli's Ice Cream is for sale at Hillside!